Well the Baha’is and their Zionist supported organizations should note that the Government of Indonesia is not going to succumb to these pressures. They will perform the duty of safeguarding their citizens. In the year 2000, the ban on Baha’i activities was lifted from the Baha’i Faith after almost three decades, albeit with the condition that no conversion activities will be carried out. The government of Indonesia gave Baha’is the freedom to organize with the understanding that they will organize their meetings only within the Baha’i community. Every type of propagation of Baha’i Faith was forbidden including several methods such as door to door propagation and the use of public events and pamphlets. During the last ten years The Ministry of Religious Affairs, over and again informed the Baha’is not to teach people who already have their own religion and were informed about the implication of violating this established government rules (imprisonment). 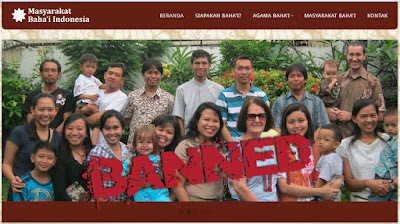 The Baha’is betrayed the trust of the Indonesian Government and kept their secret activities of preaching and conversion. In 2010 two Bahais - Mr. Syahroni and Mr. Iwan Purwanto, who are imprisoned in East Lampung, were caught conducting Baha’i Children classes for children less than 12 years of age. After a fair trail these Baha’is were sentenced for imprisonment. The Baha’i Organization in Indonesia and their headquarter, the Universal House of Justice in Israel wrote to many International Zionist supported organizations like Commission of Human Rights, Forum for Religious freedom, Forum 18 News Service etc., so as to pressurize the Government to set the culprits free and to restart the Baha’i activities. Bahá’í Faith is banned in most of the countries. “IT APPEARS THAT AS HARD AS THE BAHA’IS MIGHT HAVE TRIED OVER THE YEARS TO DISMISS WHAT THEY LABEL "CONSPIRACY THEORIES" REGARDING THEIR CONNECTIONS TO THE BRITISH ESTABLISHMENT, MORE AND MORE SUCH THEORIES CONTINUE TO PERSIST- WHILE WITH EACH DAY MORE EVIDENCE EMERGES PROVING THESE THEORIES AS FACT RATHER THAN THEORY”. 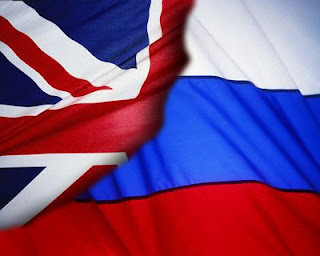 During the 19th century, Britain had firm control over India; at the same time Russia had been expanding south and east into Central Asia toward India, and a rivalry started between Britain and Russia over territorial and political control in Central Asia. The piece of land that was located between India and Russian holdings, included Persia, was a highly coveted region, where both Russia and Britain worked to gain influence. The occupation of Iranian territory during the First World War by the UK, Russia and the Ottoman Empire, as well as the coup d’état of 1921 which was backed by the British. In such circumstances the Russian Government, to gain control over central Asia - especially Iran created a false Religion called as Bahaism. 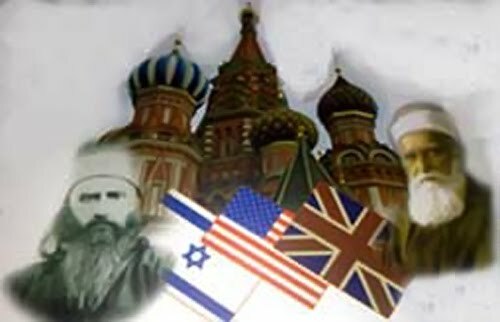 The Bahá’í Faith and the Bahá’ís have had ties to foreign powers, and were agents of Russian imperialism, British colonialism, American expansionism and International Zionism. Left to right : Leroy loas, Ruhiyyih Khanum, President of Zionist State Ben Zvi, Mrs. Ben Zvi, Amelia Collins, Ali Akbar Furutan, Abul Qasim Faizi and Israeli Government Officials. Bahá’í teachings promote to be loyal to one’s government and not be involved in politics but the fact is exactly contrary to what is preached. Baha’is are always involved in politics and seen with political leaders. They are known to have been involved in espionage activities in each and every country. This is the reason why they are banned in most of the countries. These countries found the followers of Bahá’í Faith, having dual loyalty and of being involved with foreign or hostile powers. Clause l: All Bahá’í Assemblies and Centers existing in the two regions of the Republic are hereby dissolved, and their activities suspended. Individuals, bodies and institutions are forbidden to engage in any activity, as was conducted by these Assemblies and Centers. The Minister of the Interior will issue the necessary instructions to bring to an end the activities of these Assemblies and Centers. Clause 3: Any infringement of this law is an offence deserving imprisonment of a minimum of Six months, and/or a fine from 100 to 1000 Egyptian pounds. Clause 4: This Decree shall be published in the Official Gazette, and will be enforced from the Date of publication. The President of Indonesia in 1960 dissolved Bahai Adminstration and made every Baha'i activity illegal Recently in 2009 Bahá’ís were arrested in Indonesia on Criminal Charges of violating "The Law of Child Protection". The Bahá’ís were prosecuted under the Law of Child Protection 23-2002 trying to convert children of other faith as young as 9 to 10 years. President Saddam Hussain not only dissolved Baha'i organization in Iraq but issued an order that any Baha'i activity will be met with death sentence. Following the Baathist coup in 1963, the then leaders drastically limited the freedoms previously guaranteed to the Iraqi citizens. The new regime began with attempts to prevent Baha’i activity in Iraq in 1967. 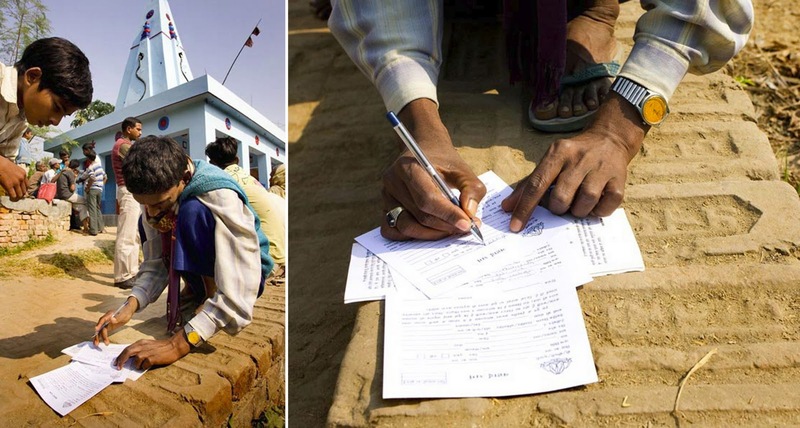 This culminated in the decision of the Directorate of Civil Status No. 358 24 / 7 / 1975 that stopped registration of Baha’is in the records of civil status. In May 1970, the Iraqi Government banned all Baha'i Institutions and Baha'i activities. In mid December 1973, an incident created a stir which engulfed the life of many Baha’is. In a government owned school, many Baha'i girls were secretly propagating the Baha'i Faith to other classmates. The girls reported the matter to the authorities that propagation of an Israeli based Faith is going on in the campus. The matter was reported to the Ministry of education. He ordered the investigation on the following day. The investigation revealed a network of Israeli based organization is behind it. 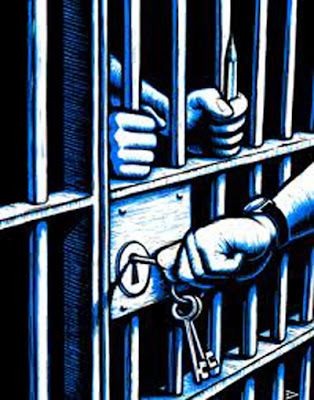 The head Master was dismissed and the girl was arrested together with her three Baha'i classmates Almost fifty people were arrested in the course of next few months. A military court sentenced fourteen of them to life imprisonment, three to fifteen years and nine to ten years in jail. Further severe action was taken against suspected members of this organization involved in conversion and espionage. The former USSR called Baha’is as Enemy of State. Surprising indeed from a country which nurtured the Faith initially. The chairman of the Spiritual Assembly, Faraj Jaffargulu Gasimov (the nephew of the first Bahá’í from Salyan, Hadim Javad) and his wife, Fizza Muradova were imprisoned. The “NKVD” people called him “national enemy”. Many were imprisoned and a few Baha’is were exiled to Siberia. In October 1938 the building of the Bahá’í center was confiscated in Baku. Now there is a kindergarten in this building. In November 1982, KGB started arresting the Bahá’ís. S.D. Asadova, I.F. Gasimov and I.G. Ayyubov were arrested. All their meetings were declared illegal and every Baha'i activity forbidden. Even the greetings on the phone “Allah’u’Abha” were forbidden. The UAR Government called Baha’is as “state within the state”. In 1937 Heinrich Himmler signed an order disbanding the Bahá’í institutions in Germany. In 1939 and in 1942 there were sweeping arrests of former members of the National Spiritual Assembly of Baha’is of Germany. In May 1944 there was a public trial in Darmstadt. The Bahá’ís were heavily fined and it's institutions continued to be disbanded. Following the fall of Nazi Germany, and with American and British control of Germany, an American Bahá’í, John C. Eichenauer (a medic of the 100th Infantry division then at Geislingen) started searching for the Bahá’í community in Stuttgart. He drove through Stuttgart looking and asking for Bahá’ís and was able to find an individual. 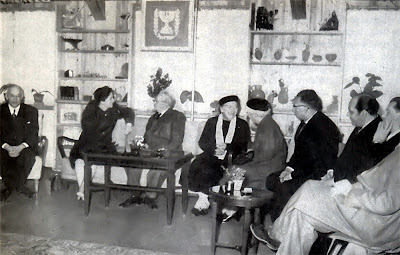 The next day saw the first meeting of Bahá’ís since their disbandment in 1937. Two other American Bahá’ís, Bruce Davison and Henry Jarvis, in Frankfurt and Heidelberg respectively, also connected with the Bahá’í community in Germany. At the beginning of the partition of Germany there were about 150 German Bahá’ís in the American section and they became registered with the American authorities. The National Spiritual Assembly was re-elected in 1946. Needless to say, US was involved in establishment of Bahaism in post-war Germany. John C. Eichenauer, Bruce Davison and Henry Jarvis were established US secret agents. The Iranian Authorities always believed that Baha’is are the face of Israel in Iran. It is a well known fact that the Bahai Administration has issued statements for the Baha’is of Iran to go and teach the Iranians and face whatsoever consequences came. One should ask the Baha’is "where is the obedience to government" principle of the religion in this case? Bahá’ís held many prominent positions in Iran during the Shah regime. In the government of Mohammad Reza Pahlavi, half of the Shah’s cabinet were Bahá’ís. Shah’s personal physician, Abd al-Karim Ayadi was a Baha'i. Amongst other Bahá’í who held position in the Shah regime was Asadullah Sanii. The then Minister of Defence, Parviz Sabeti, was raised in a Bahá’í family. The Prime Minister Amir-Abbas Hoveida was a Bahá’í. The Baha’is agree that Hoveida’s father was a Baha'i but say that Hoveida himself was not religious. Other Bahá’ís included Mahnaz Afkhami, who was the Minister for Women’s Affairs and the daughter of a Bahá’í mother and Farrokhroo Parsa, another cabinet member . More recently the Baha’is are being under strict surveillance in CIS countries like AZERBAIJAN, UZBEKISTAN, TAJAKISTAN etc. In fact Baha’is are being deported from Uzbekistan for secretly converting children under 15 years. The Baha'i Faith is banned in Yemen since 2008. Many Baha’is were deported because of their conversion activities. Last year in Yemen four Baha’is were arrested by the Interior ministry for secretly propagating their religion. The three Baha’is of Iranian origin, Zia’u’llah Pourahmari, Keyvan Qadari, and Behrooz Rohani, were arrested in Sana’a, on the night of June 20, 2008. A fourth Baha’i, Sayfi Ibrahim Sayfi, was also arrested around the same time and was deported to Iraq. According to the source close to the group, the men were arrested and taken to the national security headquarters’ prison where they spent 40 days – most of the time in isolated cells – before being sent to Sana’a General Investigation Department. Countries like SAUDI ARABIA, OMAN, JORDAN, MOROCCO also see Baha’is as hands of Zionists. No person shall convert or attempt to convert, either directly or otherwise, any person from one religious faith to any other religious faith by the use of force or by inducement or by any FRAUDULENT means nor shall any person abet any such conversion. Any person contravening the provisions contained in section 3 shall, without prejudice to any civil liability, be punishable with Imprisonment to the extent of two years and fine up to ten thousand rupees. 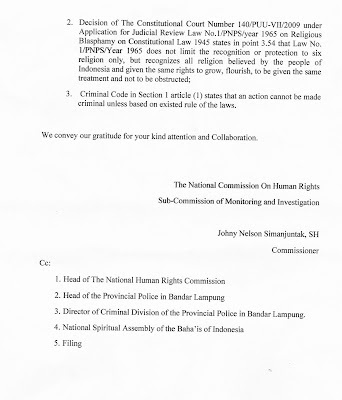 According to a report published in India’s leading Newspaper, The Hindustan Times in July 2006, as per a complaint filed in city court - the members of National Spiritual Assembly of the Baha’is of India were accused by their colleagues of using impersonations and forgery to clandestinely penetrate into prohibited defense establishment of the country and get hold of classified documents and supplied them to Israeli and Iranian spying agencies. The Bahá’í Faith is not recognized in the People’s Republic of China and North Korea and so there is no organized Bahá’í activity. Even in countries such as Japan and South Korea, where there is religious freedom, the position of the Bahá’í Faith resembles that of Western Europe where Baha’is are only on paper. In Morocco in 1962-1963, 15 Bahá’ís were arrested for their religious convictions; three were given death sentences and several others years of prison term at hard labor. There were months of diplomatic efforts which bore no results. On March 31, 1963 during a visit to the United States and the United Nations, King Hasan of Morocco was interviewed on television. He addressed the audience saying that “Though the Bahá’í Faith was against good order and morals" that he would still pardon the death sentences. It is evident that he succumbed to the US pressure. Arrest of Baha’is occurred again in 1984, due to their secret teaching activities and sending confidential reports to Israel. Bahá’ís have more recently been denied passports and can practice their religion only in private. Last but not the least... strange indeed - Baha’is are not supposed to teach in Israel. There is a total ban. The matter is very mysterious that although Israel supports Baha’is in all aspects, yet why the State of Israel does not permit the Baha’is to propagate the Bahai Faith. Baha'is are not allowed to teach in Israel for "unknown reasons"
Quote : Whenever an Israeli citizen living in the West, irrespective of his background and religious affiliation, declares his belief and interest in becoming a member of the Bahá’í community ,he should be informed that the Faith is not taught in Israel and that there is no Bahá’í community there apart from those who are associated with the Bahá’í World Center. 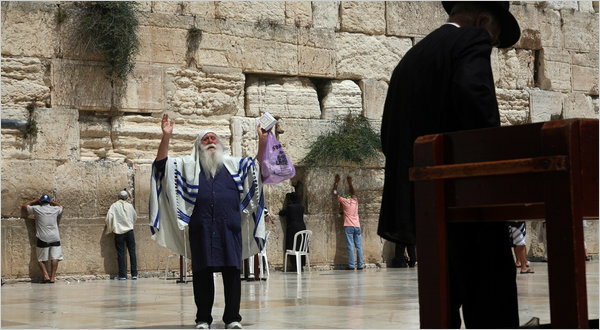 He cannot be accepted into the Bahá’í community if he is planning to return to Israel to reside there. If he plans to continue to reside outside Israel, his enrollment can be accepted, but he will then be subject to the same restrictions about travel to Israel as any other Bahá’í, in that he could do so only with the express permission of the Universal House of Justice.In any event, the Universal House of Justice should be informed of any such declaration. This is why, should Jews wish to become Bahá’í even now, they need to leave Israel first. WITH SUCH SUSPECT BACKGROUND, IS THERE A DOUBT ABOUT THE INTENT OF THIS FAITH??? 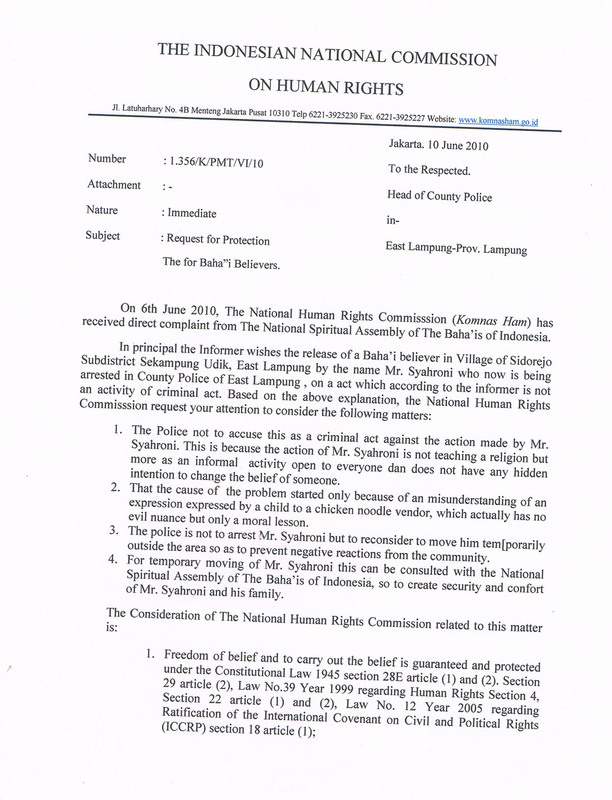 Bahá'ís arrested in Indonesia on Criminal Charges of violating "The Law of Child Protection"
The Indonesian Police arrested three Bahá'ís on criminal charges of teaching and converting Muslim children in Lampung Timur, Sumatra. The Police mentioned there is very compelling evidence of the crime and violation. The Bahá'ís were prosecuted under the Law of Child Protection 23-2002 trying to convert children of other faith as young as 9 to 10 years. Attempting to convert the children of the Muslim religion to the Bahá'í faith under the pretext of “CHILDREN MORAL CLASSES”. Giving wrong information to the Government of Indonesia. The arrested Bahá'ís accepted that they are Bahá'ís but their passport carries the Muslim Identification/information. It should be noted that, in the year 2000, the ban on Bahá'í activities was lifted from the Bahá'í Faith after almost three decades, albeit with the condition that no conversion activities will be carried out. The government gave Bahá'ís the freedom to organize with the understanding that they will organize their meetings only within the Bahá'í community. Every type of propagation of Bahá'í Faith was forbidden including several methods such as door to door propagation and the use of public events and pamphlets. The Ministry of Religious Affairs, over and over again informed the Bahá'ís not to teach people who already have their own religion and were informed about the implication of violating this established government rules (imprisonment). After this case it is very clear that the Bahá'ís have betrayed the trust of the Government of Indonesia. It was quite evident that The Bahá'ís took this opportunity for Propagation of Bahá'í Faith and they were least bothered for defending the accused. The Bahá'ís are taken for a ride by their Organizations. What is Baha'i Faith ? Baha’i Faith is a pseudo-religion created by British / Russian / American colonialist conspiracy. The main centre of the Baha’is is in Haifa, Israel where the Baha’is keep on traveling for visit to their holy shrines. Their administrative activities are all handled and co-ordinated by the Universal House of Justice (UHJ) located in Haifa, Israel. The Baha’is takes their order from Universal House of Justice, which in turn is controlled by International Zionism. Baha’ism has been banned by many of the Muslims and Non Muslim countries such as Egypt, Saudi Arabia, Muscat, Indonesia, Bangladesh Korea, Germany etc and most of their websites have been blocked as they are spreading false propaganda and misguiding the Muslim community especially the youth. “Today the Baha’i cult is hated in Iran, and is considered correctly to be an arm of the British Crown”. “it appears that as hard as the Baha'is might have tried over the years to dismiss what they label "conspiracy theories" regarding their connections to the British establishment, more and more such theories continue to persist while with each day more evidence emerges proving these theories as fact rather than theory”. Baha’is are secretive group of spies working underground. Baha’is actively promote the state of Israel using effective methods of advocacy. 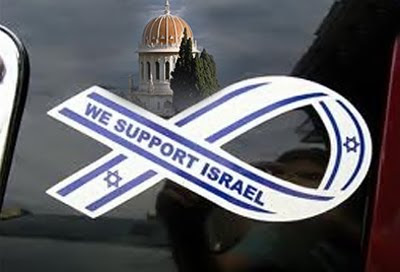 Baha’is attempt to convince others that Jerusalem must remain the capital of the state of Israel, in reciprocation for its allowing them to construct their World Center in Mount Carmel, Israel. The Baha’i faith is more dangerous than Jews and colonialism, and “even Jews fear the Baha’is”. 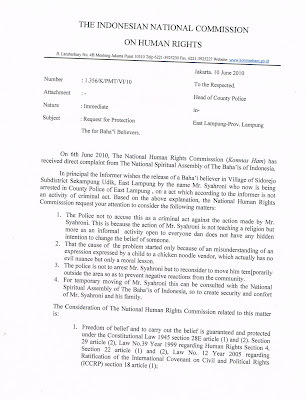 More than 25% of reports distorting the image of Indonesia politically, socially, religiously and economically that are sent to international organizations are from the Baha’is of Indonesia. Baha’i immigrants are more dangerous to Islam than foreign spies and agents . Baha’is usually visit mosques not for praying but for preying on Muslim community, for gaining information about the Muslim community. They marry decisively to Muslim women saying that they are Muslims. They conduct children classes under the grab of Moral teachings for conversion of tender children and youths as young as 10 years, sometimes lying to the parents and sometimes asking the children not to inform their parents. In Indonesia they have contacts with TV stations & Press Media for the publicity. 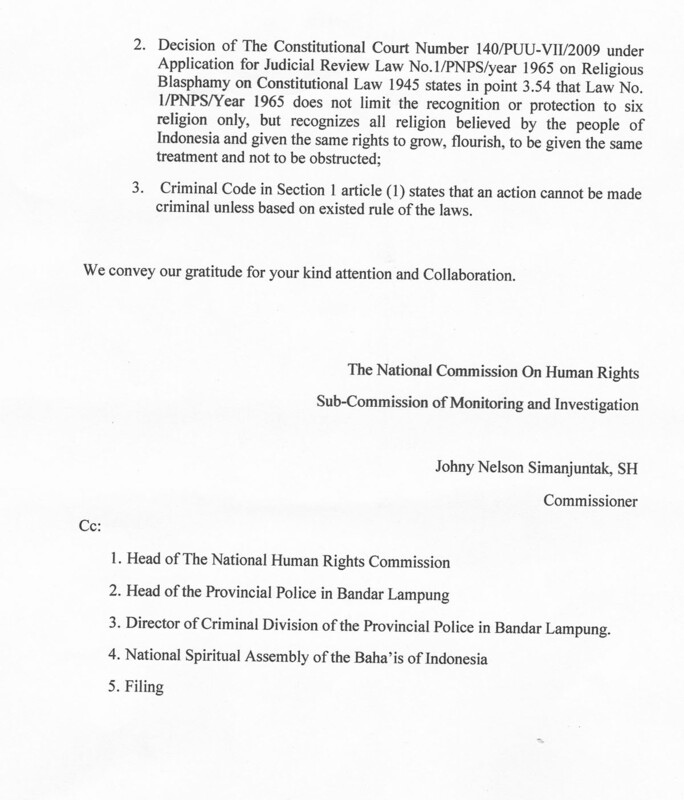 The chief Police in Tulungagung has announced that all Baha'i activity must be stopped. Defending the Zionist occupation of Palestine. Acting as a major agent in strengthening the Zionists regime. Gathering information of other Muslim/Non Muslim countries. Converting the innocent followers of other religions into Baha’ism, a pseudo Religion devoid of any Morality.